Respected character actor Steve Buscemi says it's only in his "wildest" dreams that he saw himself as a leading man in "Boardwalk Empire." 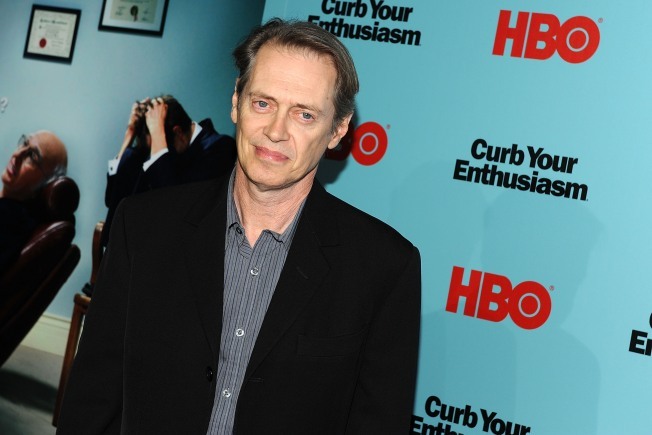 Respected character actor Steve Buscemi says it's only in his "wildest" dreams that he saw himself as a leading man. But that's just what Buscemi is in the new HBO series "Boardwalk Empire," set in Prohibition-era Atlantic City, N.J. Buscemi stars as a politician maneuvering his way through 1920s corruption, violence and romance. At a meeting Saturday of the Television Critics Association, Buscemi recalled thinking he was glad he'd read the excellent script because he would have been unhappy to lose the role. "Boardwalk Empire," starring Buscemi and Scottish actress Kelly Macdonald, debuts Sept. 19 on HBO with an episode directed by Martin Scorsese, who's an executive producer for the series. PLAY IT NOW: Nelsan Ellis Talks 'True Blood' Fan Love At Comic-Con 2010: 'It's Crazier & Wilder' Then Ever!